Ski Buzz, Why we love snow! icon called Stormy Kromer, and then somehow made it retro-cool enough for movie stars and Brooklynites, too. What happens when an internationally known shoe designer decides to transform her life by opening an amazing little bakery in Harbor Springs (recipes!). Here, on the cusp of winter, five devotees of snow and hill share the passion they feel for the season of skiing and boarding ahead. We check in with the region’s medical leaders for the latest on the evolution of health technologies and services in Northern Michigan. Of course our gift guide has something for every person on your list! And you can shop for it right here! Rabbi Chava Bahle talks Thanksgiving, three great books that give back, awesome art in public spaces, Sleeping Bear breaks another record. Brighten your November with a sparkly event. November Up North. Sometimes quiet. Sometimes powerful and chaotic. Experience it at a place on the shore. Steelhead on a swung fly. The how-to courtesy of Dan Shepler. Innovative comfort food. What we’re liking now. Cold weather reds, a gift from our summer soil and sun. The northern lights are calling! I recently went online, late in looking for a warmish sweater for my Mom’s 98th birthday. I thought it would be quick and easy, but 50 minutes later, all I had were a bunch of tabs on my com- puter representing the sea of stuff that I’d clicked on and a bit of a headache. 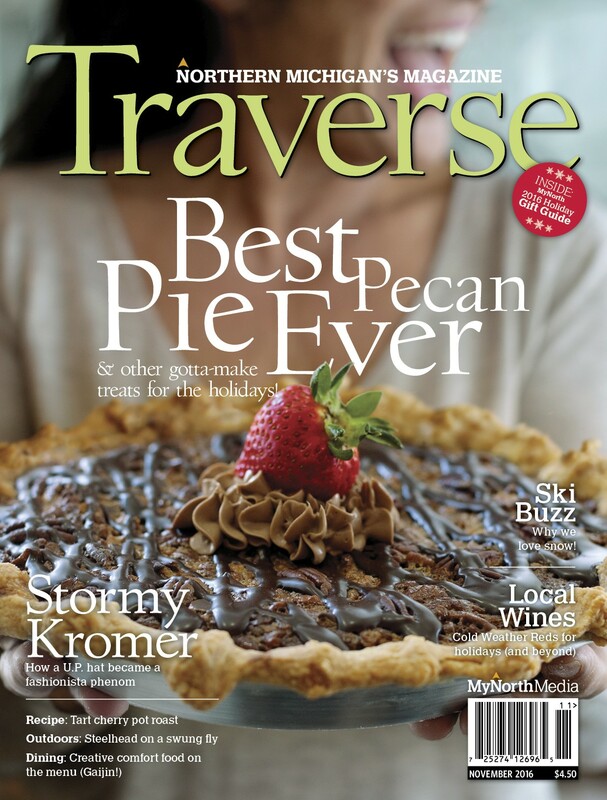 ... Read the rest of Deborah Wyatt Fellows's column in the November 2013 issue of Traverse, Northern Michigan's Magazine.